Looking a bit like watered down soda that's been allowed to go flat, kombucha is actually made from fermented, sweetened tea, giving it a slightly vinegary nose. It's popular as a health supplement for its supposed qualities as a probiotic, promoting good gut health. Local brewers include Green Bluff's HIEROPHANT MEADERY, DAMN!BUCHA, out of Spokane Valley, and CULTURED SOLUTIONS in Sandpoint, Idaho. 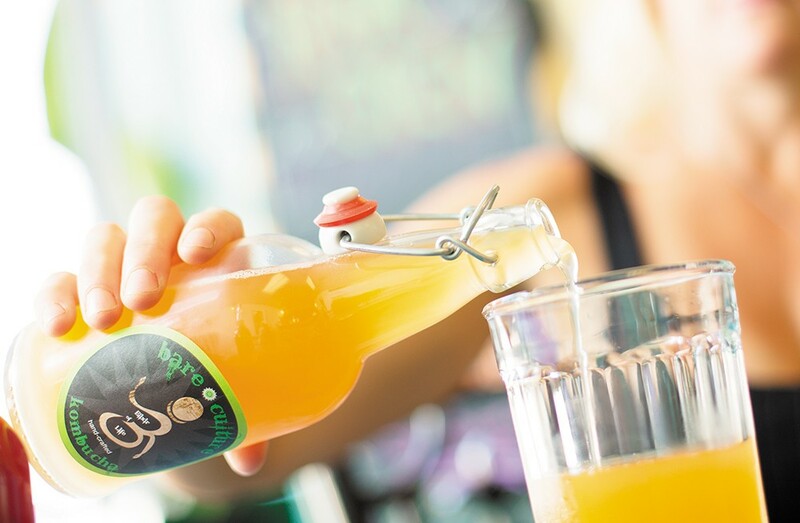 The largest local brewer is BARE CULTURE KOMBUCHA, out of Coeur d'Alene. They have more than a dozen flavors — pink lady apple raspberry, chai, hibiscus lavender — available on tap and in bottles at places like Rocket Market, My Fresh Basket, Huckleberry's, Rosauer's and Pilgrim's Natural Market. Matcha tea has been around since the early 12th century, yet this Chinese export continues to be tagged by trend watchers as new ways of enjoying the ancient elixir are discovered. Tea, for many of us, is the clear, fragrant liquid left behind when tea leaves are steeped in hot water. 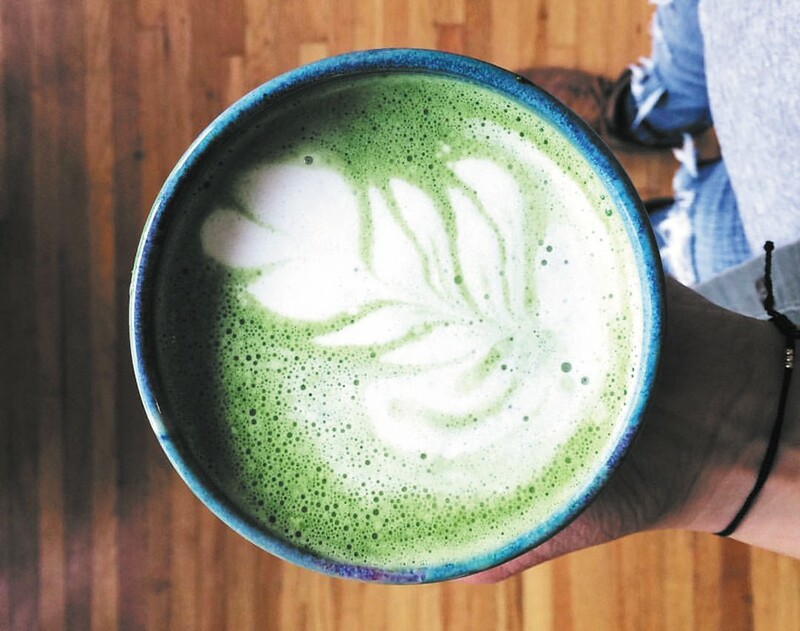 Matcha tea, however, uses the whole leaf, which is dried and ground into a vibrant green powder with more of the good things we've come to expect from our favorite teas. Its health benefits are just one reason matcha is popular. It's high in vitamin C, chlorophyll, fiber and antioxidants. And while high in caffeine, some studies suggest matcha elevates your mood and alertness without shaky side effects. For a range of matcha options, try GAIWAN TEA HOUSE in Coeur d'Alene, where beverages include an iced or hot latte, lemonade and chai mix. Their Bullet Proof Matcha, which is part of another trend towards so-called healthy fats, combines honey-sweetened matcha with grass-fed cow butter and coconut oil. In Sandpoint, check out UNDERSTORY COFFEE's unique pairing of matcha with things like cocoa and peppermint. Many places mix matcha into their smoothies, including METHOD JUICE CAFE and WELLNESS TREE JUICE BAR, both in Spokane. And because matcha comes in a powder form—sometimes referred to as green tea—it's ideal for incorporating into ice cream. Try it at BRAIN FREEZE CREAMERY and at YUMMY ICE CREAM ROLLS, both in Spokane, as well as FREEZIA in Post Falls. The original print version of this article was headlined "Trendwatch: KOMBUCHA & MATCHA"